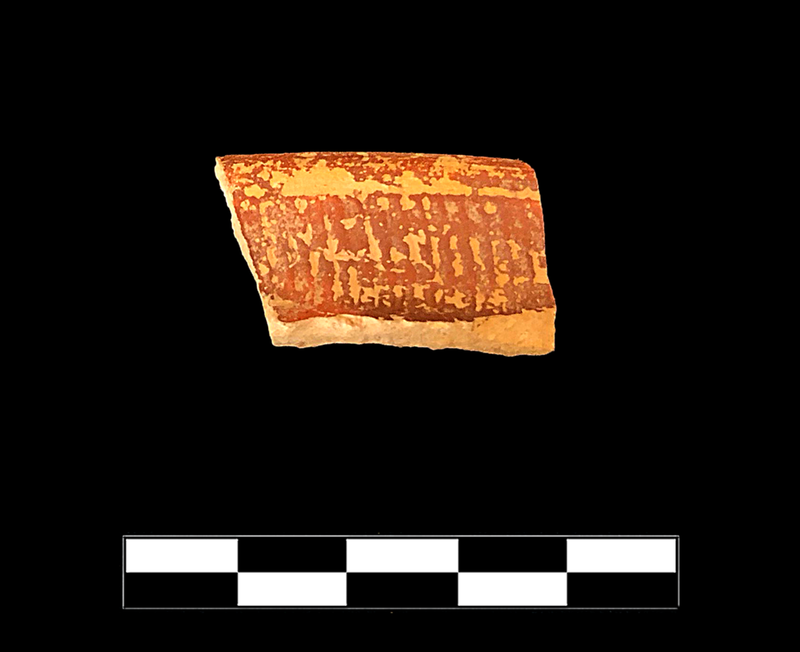 Single small sherd of high rim in Italian style. Fine pale red fabric with no visible inclusions, slightly reddish for ESA though not outside of variation. Dark red slip very distinct in color from fabric, thicker in grooves. 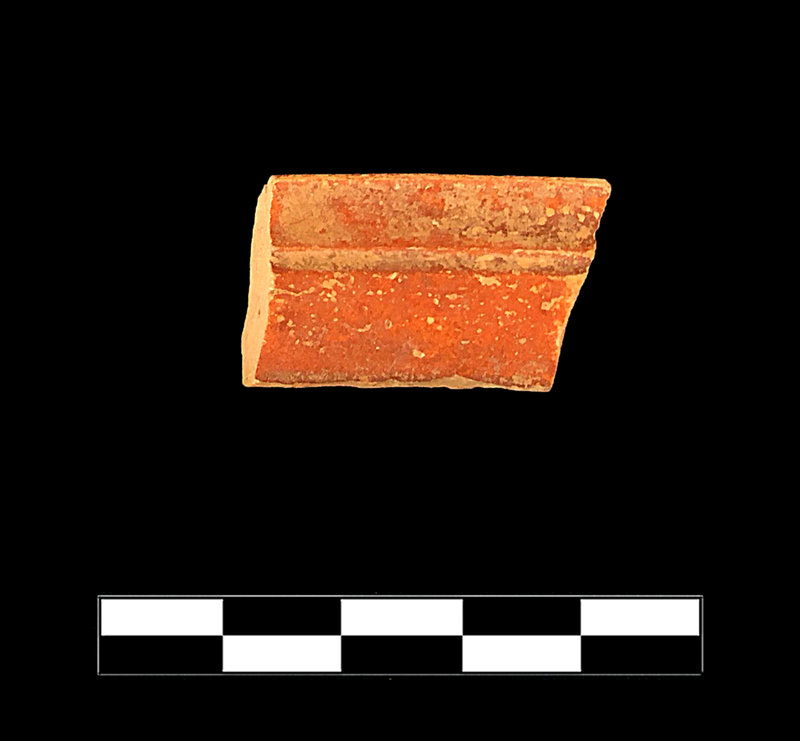 The diameter is not recoverable, though it is large for the size of the sherd, not a cup.